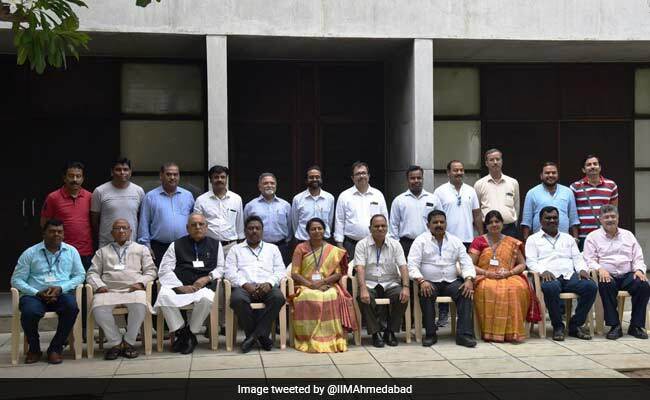 The group, comprising nine ministers, started the course on Monday and have been given interactive lessons on leadership and ethics, cooperative movement, healthcare, education and public-private partnership, said Professor Arvind Sahay. 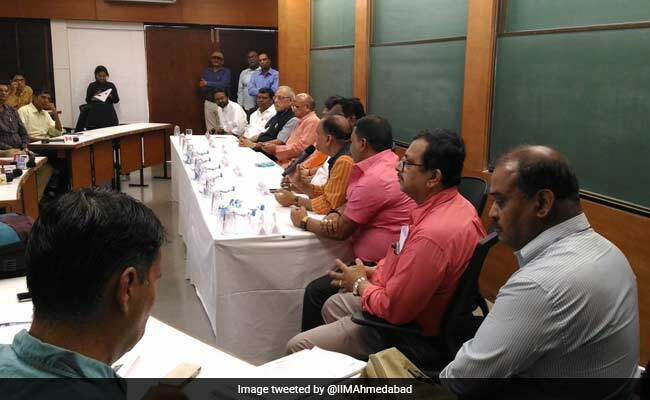 Ahmedabad: Determined to deliver on their pre-poll promises, a group of ministers from Jharkhand are in Ahmedabad for a three-day study tour. They have enrolled themselves for a crash course in management and leadership - and that too at the prestigious Indian Institute of Management, or IIM-Ahmedabad. "We make many promises ahead of elections. But, we have to set priorities after coming to power as the resources are limited. Thus, such educational programmes would help us learn new things and come up with effective policies to honour our promises," said CP Singh, one of the ministers taking part in the course. "This would help us honour our pre-poll promises," he added. Mr Singh went on to say that the people of Jharkhand were expecting some sort of "magic" from the BJP government, which came to power in the state roughly two-and-a-half years ago. "We are doing much better than any of the earlier governments. Earlier, the people never had any expectations from the state government. But now they are expecting us to do some sort of magic. Such a demand is obvious because the BJP is in power in the state as well as at the Centre," he added. The ministers who are taking part in the 'Management and Leadership for Good Governance' programme include Ramchandra Chandravanshi, Neera Yadav, CP Singh, Nikanth Singh Munda, Saryu Rai, Raj Paliwar, Louis Marandi, Amar Kumar Bauri and CP Chaudhary. IIM-Ahmedabad will soon open its innovation lab -- an incubation centre to train young talent -- at Ranchi, the capital of Jharkhand.